If you have to send your files to a client, you will have to be sure that the file can be edited by the client for to make it easy for the both of you. 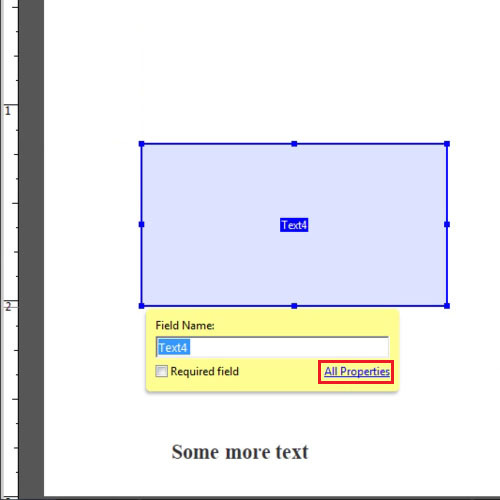 Since Adobe PDF does not have a lot of tools that can be used to type in text and to make PDF editable you will have to make text fields in there to create editable pdfs. Here we have a document which we want to be used by the client. 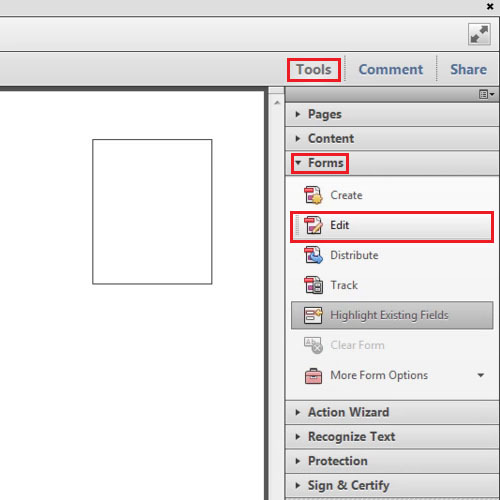 To make the PDF editable, go to the “tools pane”, click on the “Forms” tab and then click on the “Edit” option. A notification box will open, click on the “no” button. On the right side of the screen under the “tasks” tab click on the “add new field” button and from the drop down menu select “text field”. Take your mouse to the area where you want to add the text field. Click and drag it to the point till where you want the text field. When you will let go of the mouse a small box will appear, click on the “all properties” button. From the “options” tab you will be able to change the alignment. 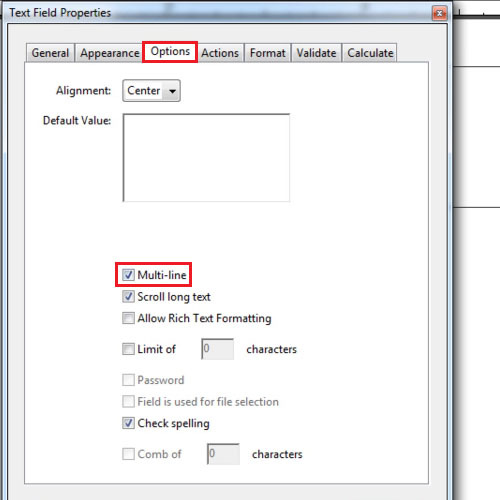 Make sure the “multi line” option is check marked. Go to the” general” tab and from there you will be able to set the name of the text field. Click on the “ok” button to exit the properties box. Click on the “preview” button which will appear in the ribbon bar. When you press the “highlight existing fields” option the field is shown to you. Save the file. Click on the “edit” button to go back and select the “close form editing” option. 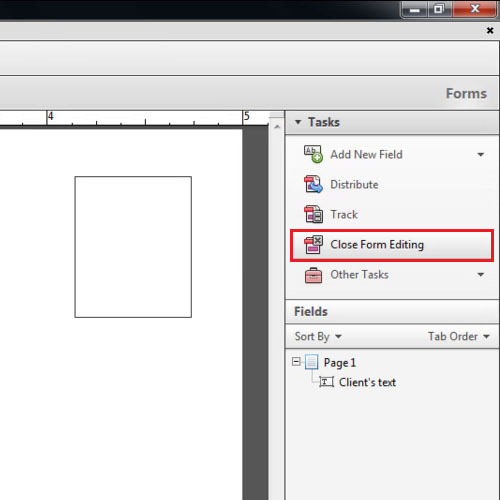 This is an easy way to create editable PDF to help you in your work. 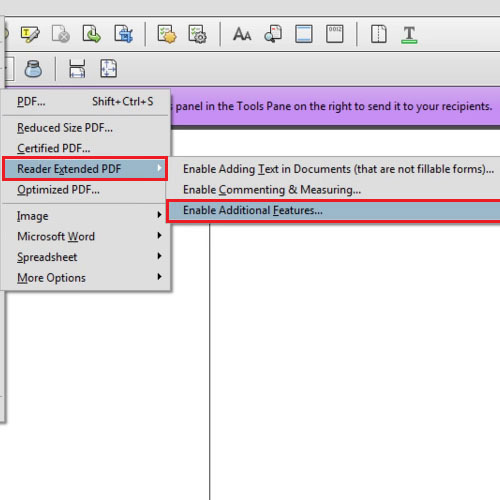 To make PDF editable, go to the “file” menu and drop down to the “save as” option. From there click on “reader extended pfd” and then choose the “enable additional features” option. When the box opens, click on the “save now” button and select a location to save it. Now switch your window to Adobe reader in order to test it. 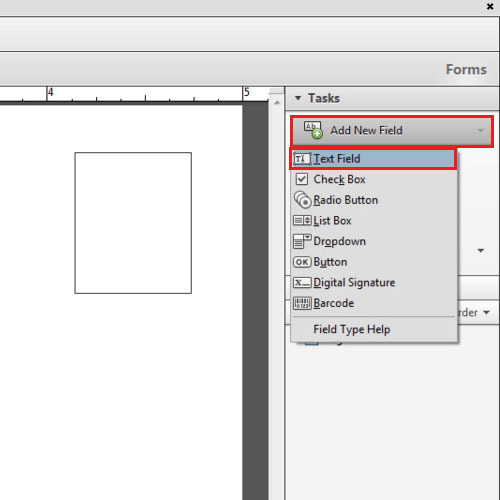 When the file opens you will be able to write in the field that you had created. 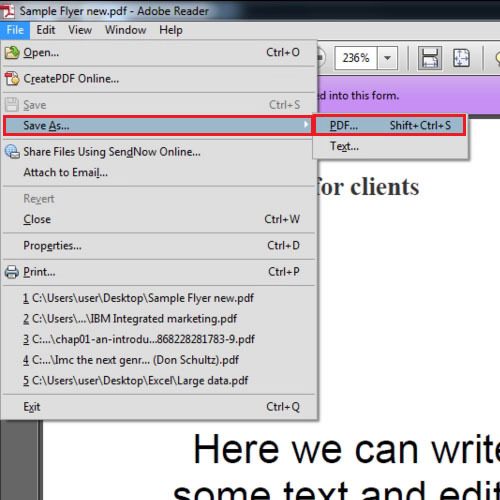 Once you are done click on the “save as” button from the “file” menu and save the file in pdf.